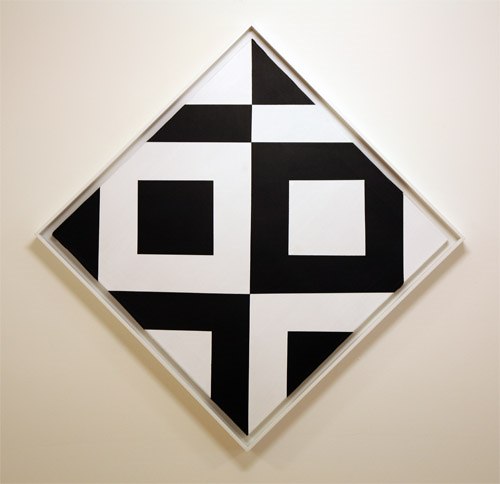 Summer is a great time to see expansive shows with broad-ranging themes. 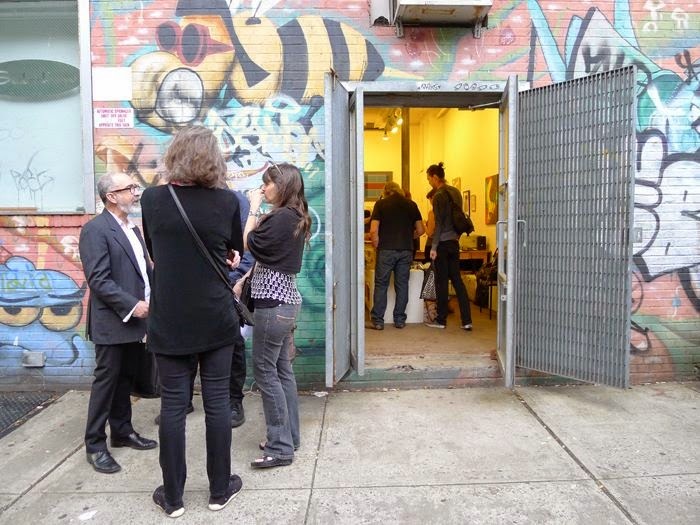 Galleries often invite artists from outside their roster, and the openings are typically big, loud, and jam-packed with friends and colleagues. 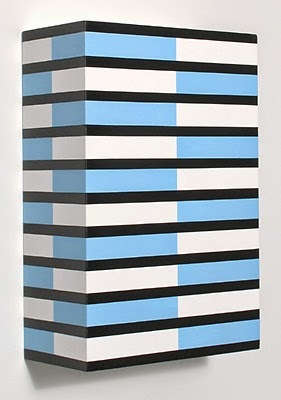 Over the next couple of weeks, I'll post views of several summer exhibitions in Manhattan and Brooklyn. I've already shown you To Leo, A Tribute From American Abstract Artists at Sideshow in Williamsburg. I consider that a walk-through, as I'm in the show, and that's the case with the Summer Invitational at Elizabeth Harris Gallery in Chelsea. Take a look. Four paintings by Gary Petersen . . .
. . . leading to six small paintings by Sarah Walker (five of which are visible here) . . . 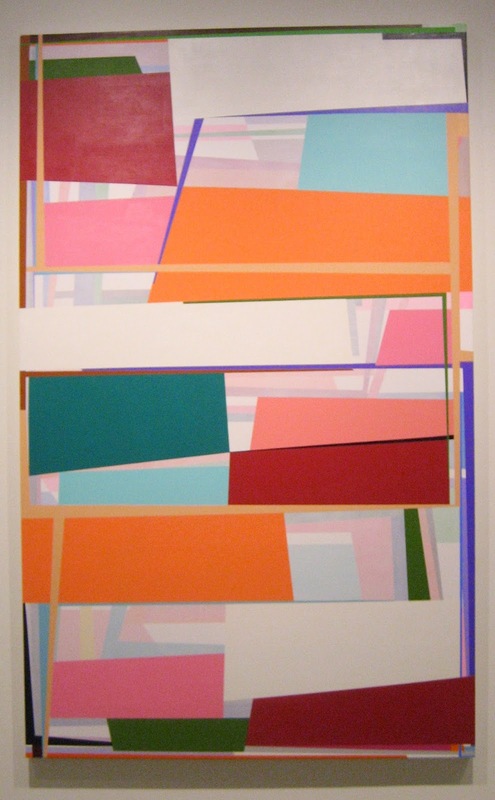 Continuing around the gallery: my Chromatic Geometry 13, left; three on the far wall shown in closeup below . . .
We return to the wall with Gary Petersen's work . . .
. . . and Nothing Else To Do, 2014, acrylic, ink and oil on masonite, shown at far left . . .
Far wall and below: Regular Laugh Riot, 2014, acrylic on cedar shims . 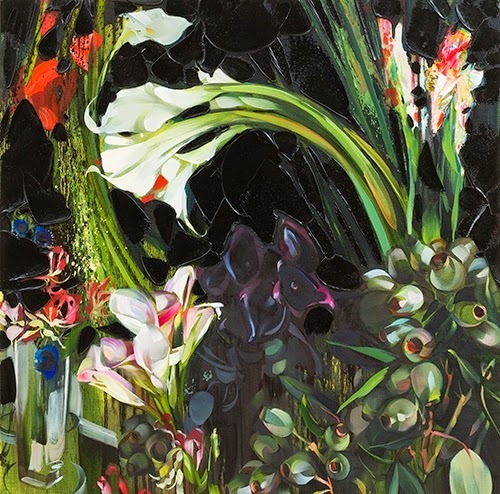 . .
Summer Invitational is at the Elizabeth Harris Gallery through July 25. The gallery is at 529 W. 20th Street. Additional information is here. Summer is the time for groups shows, big and small. 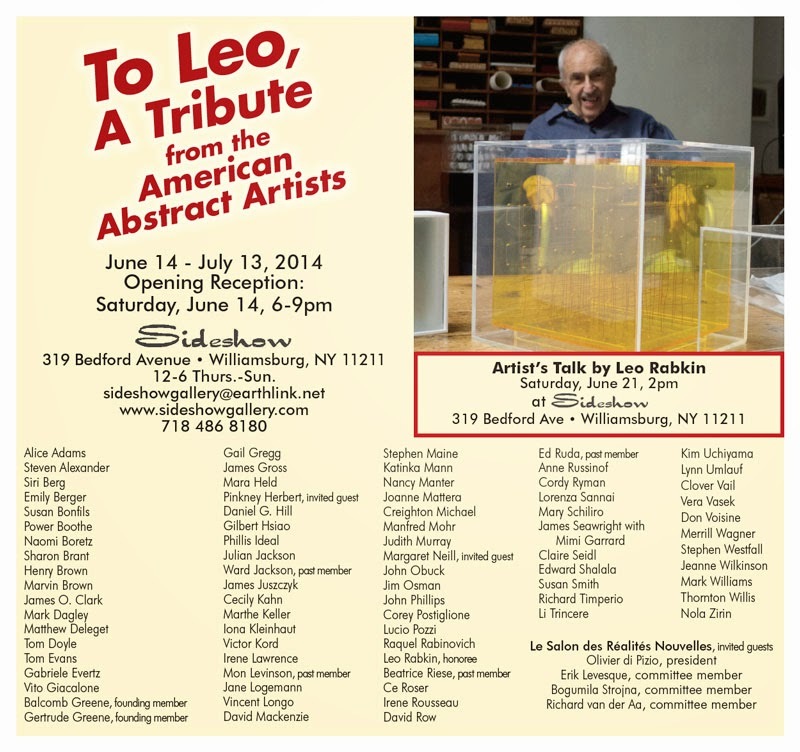 I'm thrilled to be in two: To Leo: A Tribute from the American Abstract Artists at Sideshow Gallery in Williamsburg, and the Summer Invitational at Elizabeth Harris Gallery, which opens on Thursday in Chelsea. And I'm seeing a few others that look pretty great as well. 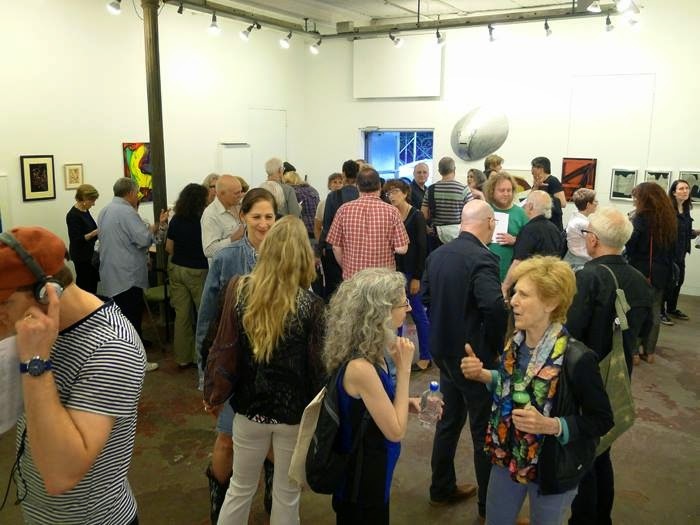 It was a lovely night for an opening. 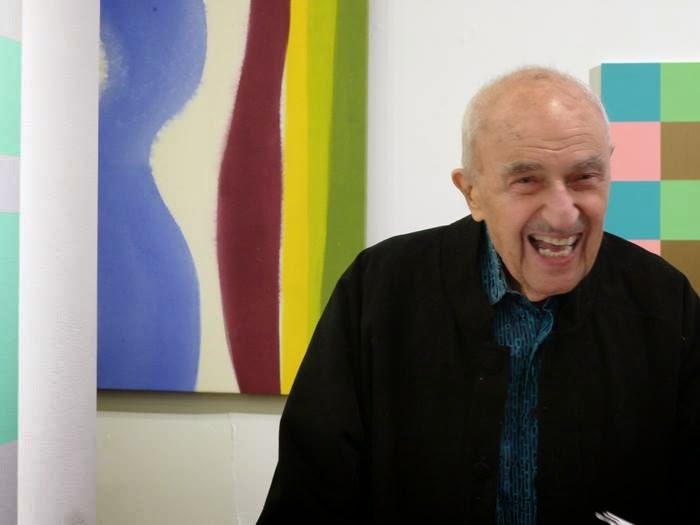 American Abstract Artists, the long-established group of painters and sculptors (to which I have just become a member) gathered at Sideshow Gallery in Williamsburg to celebrate Leo Rabkin, the nonagenarian past president of the organization. 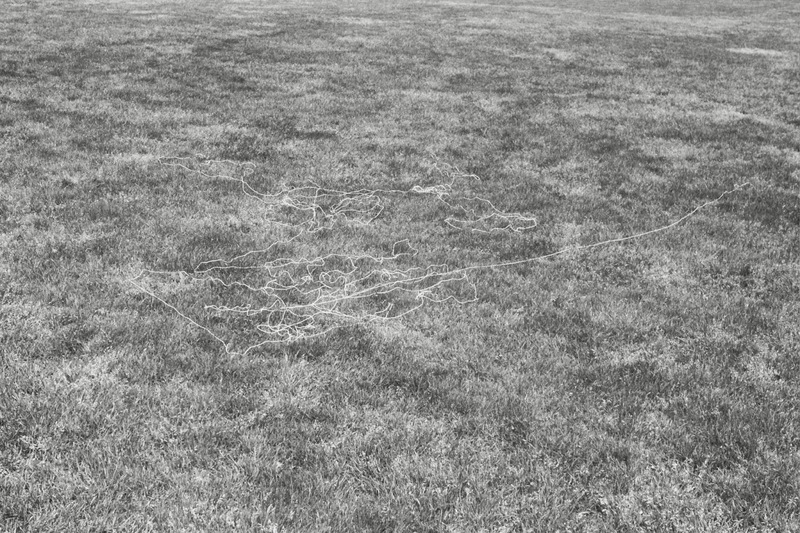 I have shown the work of many of the artists in this group here on my blog, but it was awesome--and I don't use that word often--to see so much great abstraction in the same place at the same time and to engage in conversation with the artists who made it.